The FG today appealed a court ruling that acquitted the Senate President, Bukola Saraki, of charges of corruption and false declaration of assets. The Court of Conduct Tribunal last week cleared the Senate President of 13-count charge of corruption levelled against him. The government on Tuesday at the Court of Appeal Abuja filed eleven grounds of appeal challenging the judgment of the CCT. The Federal Government also prayed the Court of Appeal for an order calling upon Saraki to enter his defence. 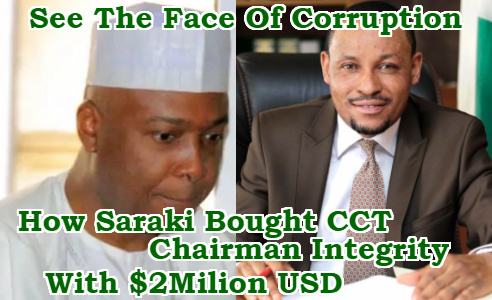 The CCT on Wednesday last week cleared Saraki of the 18-count criminal charges over alleged false asset declaration brought against him. Danladi Umar, the tribunal chairman said the prosecution failed to establish a prima facie case against Mr. Saraki. He therefore upheld the no-case submission made by the defendant’s counsel, Kanu Agabi. In the notice of appeal which was filed yesterday, the government said the judgment was unconstitutional, without jurisdiction, unwarranted, unreasonable and against the weight of evidence. It argued that the Tribunal failed to analyse and evaluate the evidence of the prosecution witnesses before reaching its no case submission. It said the findings of the CCT that EFCC did not invite Saraki was not supported by the evidence tendered by the prosecution which was Saraki’s handwritten statement made after caution. It said the CCT failed to be bound by the judicial precedent of a superior court of record and has denied the government its right to fair hearing as guaranteed by the Constitution. It was further stated that the CCT unfairly closed its eye to relevant testimony of prosecution witness and the various documents generated by the Guaranty Trust Bank which were admitted as evidence before the Court. In Nigeria of today, eminent person like Saraki can never be prosecuted and found guilty unless if Nigeria has successfully got rid corruption. Saraki will rather part with some of these stolen wealth than allow to be found guilty. Let’s be honest among ourselves, no Judge in Nigeria will reject $2 million Dollars offer just to swap the justice. This is an offer that nobody can reject unless if that individual is a somebody of high integrity and impeccable principle. Not even this time when serious inflation has engulfed the whole nation. Nigeria is in problem because most of our leaders will rather sell their integrity than to save his nation. This Judge Umar might have thought he has stuck a deal but he has never thought about its effect on millions of Nigerians which is a huge catastrophe and hindrance on our nation’s development.